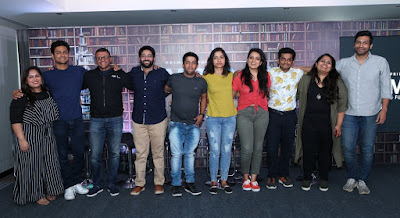 Amazon Prime Video today released the trailer of their new Prime Original series – Comicstaan. Produced by Only Much Louder (OML) and hosted by ace comedians Abish Mathew & Sumukhi Suresh, Comicstaan is a talent hunt to discover India’s next big comedic talent. The show brings together seven of India’s best comedians – Tanmay Bhat, Kenny Sebastian, Sapan Verma, Naveen Richard, Kaneez Surkha, Kanan Gill and Biswa Kalyan Rath, to guide, mentor and judge the budding talent, as they compete each week to win the coveted title. Comicstaan will be available exclusively to Prime members across 200 countries and territories starting July 13, 2018. Ajay Nair, COO, Only Much Louder, said, “Comicstaan is the exciting next step in our long and fruitful relationship with Amazon. It ties all the best parts of Indian stand-up together into something fresh. Getting the country's top comedians to nurture and mentor new talent is an idea that excited us, and it's been extremely rewarding to see it all come together." Get ready to laugh with Comicstaan – a nine episode series where ten contestants from across the country are chosen to compete for the winning title and mentored by comedian judges who are experts in their respective genres of comedy. Comicstaan is laugh-out-loud funny with carefully plotted jokes, quick witted dialogue and hilarious memorable moments that are relevant in pop culture today. The first four episodes are available to stream on July 13, followed by new episodes weekly. To watch Comicstaan and the newest releases in Hollywood & Bollywood, the latest US TV shows, kids’ favorite toons and Amazon Prime Originals, please visit www.PrimeVideo.com or download the Amazon Prime Video app today and sign-up for a Prime membership.